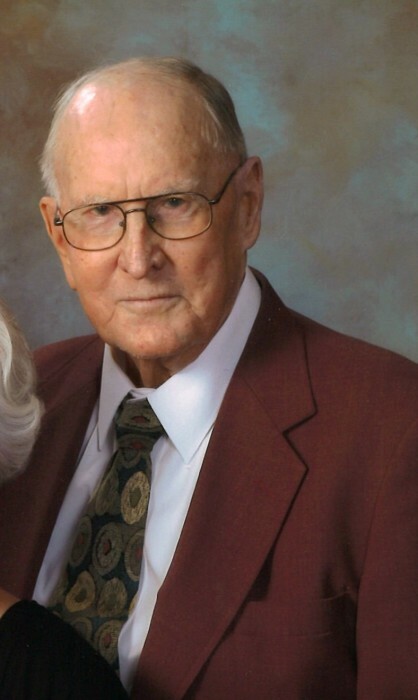 George W. Ricks, 87, passed away suddenly Wednesday, December 5, 2018. Funeral services are 11 A.M. Saturday, December 8 at North Greenwood Baptist Church with Dr. Jim Phillips officiating. Interment will be 2 P.M. at Midway Baptist Church near Eden, MS. Visitation is from 9:30 till service time in the church parlor. George was born in Scott County to Samuel and Addie Ricks and graduated from Holly Bluff Consolidated Line School. He enlisted in the US Navy where he went through “Boot Camp” in San Diego then was stationed for two years in Japan. After being discharged from the Navy, George started working for MS Power and Light Company. He and Ann were married that same year in Vicksburg. They lived in Vicksburg, Hollandale, Hazelhurst and Belzoni before moving to Greenwood in July of 1964. He retired from MS Power & Light Co. after thirty-seven years. After moving to Greenwood with their two sons, they joined North Greenwood Baptist Church. He was ordained in 1971 to the Deacon Council and faithfully served his Lord and his church remaining active until his death. Through the years he had served on numerous committees and sang in the Senior Adult Choir. Mr. Ricks is survived by his wife of 64 years Marion Annette “Ann” Ricks, two sons, Kenneth Ricks (Dianna) of Vaiden, MS and Lynn Ricks of New Orleans, LA; three grandchildren; Jennifer Mayhall (Michael) of Fulton, MS, Kendra Myers (Roy) of Vaiden, MS and Wesley Ricks(Morgan) of Starkville, MS; one brother, Bill Ricks of Benton, MS, 9 great grandchildren and one great great grandchild. Pallbearers will be Keith Stevens, Mark Harris, Odell Weaver, Raymond Tedford, Jimmy Harrell and Rev. David Bartlett. Honorary pallbearers are member of the Friendship Sunday School Class. Graveside Military Honors will be provided by American Legion Post 29 Honor Guard. Memorials may be made to St. Jude Children’s Research Hospital, North Greenwood Baptist Church, the American Legion or charity donor’s choice.